Apex Legends has proven to be popular since it dropped on Monday, with this new entrant to the battle royale arena attracting a couple of million players in its first days. 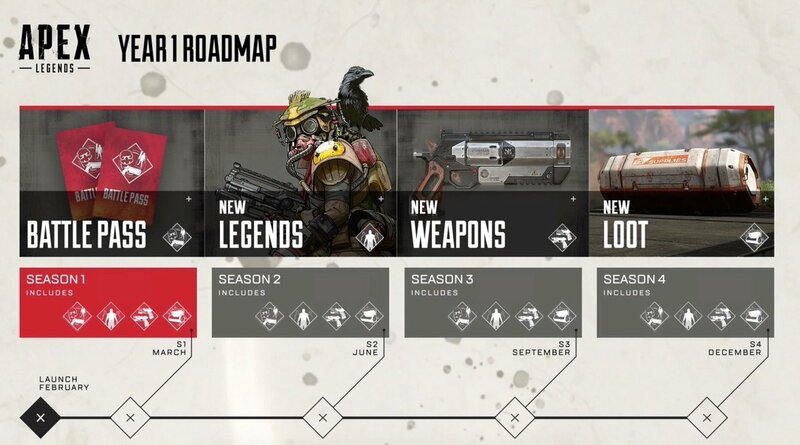 To keep the momentum going Respawn are looking to the future and have laid out a road-map of what players can expect to be added as the year progresses. As you may expect that will include new legends, new weapons, and new loot to help in the fight. The battle pass will no doubt give access to the new Legends when they release as well as more skins for the characters. Going by the roadmap there will be a steady stream of content right up until December. Now we’ll just see if Apex Legends manages to maintain the player base.